Comment: Please clean an antique oriental Chinese wool rug, 9â by 12â. Now in storage. Can deliver to you. Some dirt spots and coffee (?) stains. Comment: Unfortunately, our move to this new house has upset our pets and we have areas which they have "marked." 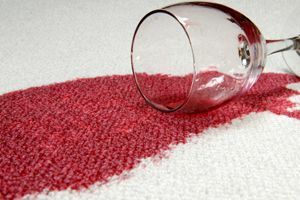 A valuable oriental carpet is most affected. Comment: Move out carpet cleaning for Townhome needing some stain removal. 3BRs., stairs, living room and possibly upstairs hallway. Please provide detailed estimate via email. Comment: Dog stains (vomiting). Was cleaned up but brown spots left. Middlebury Carpet Cleaning Services are rated 5.0 out of 5 based on 1 reviews of 1 pros. Not Looking for Carpet & Upholstery Cleaning Contractors in Middlebury, VT?